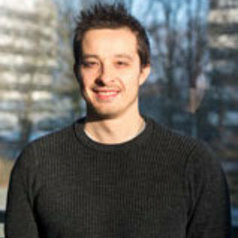 Davide Bossini is a non-tenured researcher at the Technical University of Dortmund. His main research interest concerns the study of the interaction between light and solids on the ultrafast (i.e. femtosecond) time-scale, with particular focus on magnetic materials. Controlling the properties of these compounds on the femtosecond time-scale by means of light could pave the way to a magnetic recording technology much faster (i.e. a million times) and more energy-efficient (transparent materials are currently investigated) then the person-day devices. From the fundamental point of view, this research activity allows the exploration of novel transient states of a magnetic material, which defies the conventional description in terms of thermodynamics.